﻿ Best Price on Hotel Las Palmeras in Cabarete + Reviews! Hotel Las Palmeras is located 1969 feet from Sosua Beach, and offers an outdoor pool, gardens and free private parking. Each bright air-conditioned room has free Wi-Fi and cable TV. 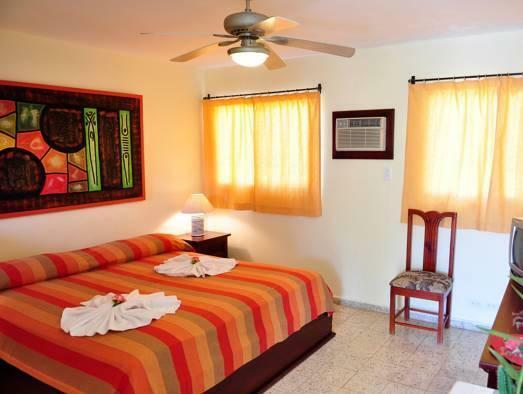 Rooms at the Las Palmeras feature functional décor and include a ceiling fan, fridge and safe. All rooms have a private bathroom with a shower. Air conditioning is available on request, at an extra cost. Hotel Las Palmeras’s multilingual staff can provide information about the surrounding area. Gregorio Luperon International Airport is a 12-minute drive away, while Cabarete Beach is a 15-minute drive away.